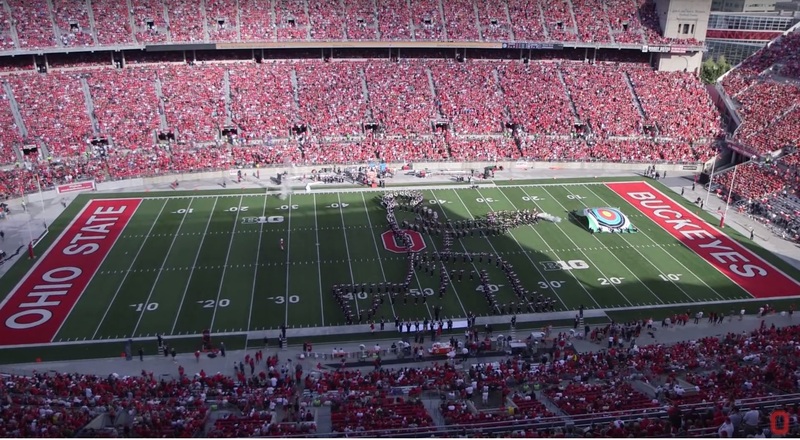 Ohio State returned to the field this week to perform their James Bond halftime show. For you picture show lovers this one has it all. If you watch any part of the show you must watch them create James Bond and then fire his gun. Super cool. 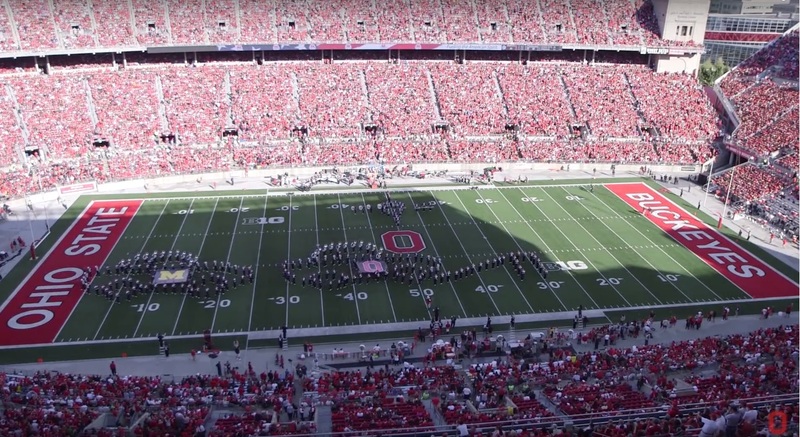 Their last major formation is a car chase scene where a Michigan car chases an Ohio State car. The Ohio State car makes the jump over a cliff while the Michigan car crashes. We're glad to see that the B1G hasn't punished Ohio State for using another school's logo like the Big 12 did against Kansas State. Fast forward to the 1:30 mark to see the gun shot and then the 7:25 mark to see the car chase, but honestly you should just watch the whole thing!